Forty Foot Echo is an alternative rock band , Lead singer and founder of Forty Foot Echo Murray Yates formed the band in 2001. 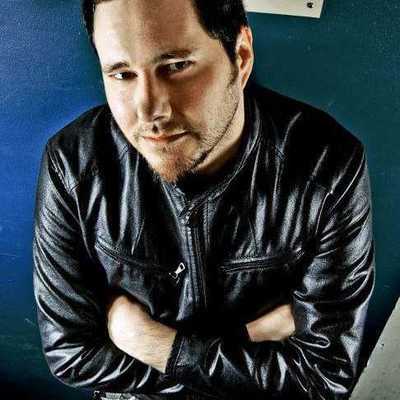 His previous project, an electro-rock hybrid called Templar, best known for their single "Here We Go", had parted ways with EMI and subsequently, each other. Immediately following the break up of Templar, Yates returned home to write what would be his next hit single, "Brand New Day". After quickly signing on with Hollywood Records, the band relocated to Los Angeles, and recorded their debut self titled album, and two music videos for Much Music, including "Brand New Day" and "Save Me". Their music went on to be used for such feature films as "Freaky Friday" and "The Prince and Me" as well as appearing on episodes of network television series "One Tree Hill". In 2004 the relationship between Forty Foot Echo and their record company was abruptly finished, and the band found themselves back in Canada and the band once again went it's separate ways. Undaunted, Yates hired a new band in 2007 and recorded a second album entitled "Aftershock" at the Warehouse in Vancouver, and a third and fourth video under his own record label, Echoman Records. The album was produced by Darren Grahn and mixed by Randy Staubb (Avril Lavigne, Nickelback). Unfortunately, the second album never saw the success of the first, and Yates withdrew from the music scene. For six years the band lay dormant, but Yates continued to write songs, and explore his musical passion and curiosity. He began experimenting with different writing styles, expanding to write for other artists, all the while honing his skills as a recording engineer and producer. In 2012 he decided to re-record "Brand New Day", with subtle modifications to the song, and included it on a re-mastered release of "Aftershock" (2012) along with a second additional song, "Comin' On Strong". In 2013 Yates applied for and was granted a pledge from a fan based fundraising site, Pledge Music, to record a third album. Mark Watson, a long time friend and guitarist from the second line-up of Forty Foot Echo agreed to pick up where they had left off. Ricardo Viana, a drummer with a long history of working with Yates as a producer as well as musical collaborator, agreed to join the band. Bass player Dave Kanderka soon completed the new line-up. "Returning", released in June of 2013, is the most aggressive of the three albums, but also includes some of Forty Foot Echo's most heart wrenching ballads. The album was recorded and mixed by Murray Yates with the exception of "Hey You" and "Victory Day" which were mixed by Mike Fraser (Metallica, AC/DC), and "Just Go Away", which was mixed by Darren Grahn. Forty Foot Echo is currently promoting "Returning" through online awareness and live performances.